The laws prohibit political campaigning within 24 hours of an official poll. “We consider all justified appeals from state bodies,” said Google in a statement. Demonstrations against plans to raise the retirement age in Russia – from 60 to 65 for men and 55 to 60 for women – were held on 9 September. The current life-expectancy for Russian men is 66. On the same day, elections for regional governors in the country were contested. More than 800 protestors were detained and some beaten with batons, according to rights monitoring group OVD-info. The group said there had been detentions in 19 Russian cities, with most occurring in St Petersburg. 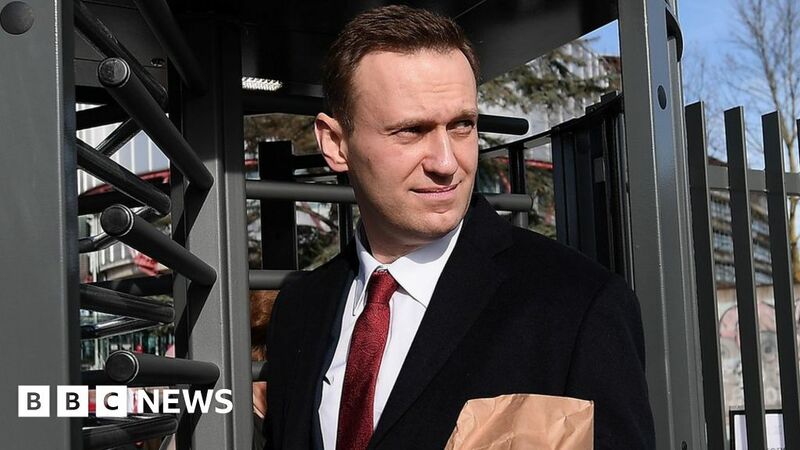 Mr Navalny had planned to lead the Moscow protest – but last month he was sentenced to 30 days in prison for breaking laws around public demonstrations. He has strongly denied all charges against him and has said the prison terms are an attempt to disrupt his political campaigning. Google has removed politically themed advertisements relating to public polls before. Earlier this year, it banned ads targeting voters in the Republic of Ireland’s referendum on abortion. At the time, the technology giant said the move was part of an effort to safeguard the integrity of elections globally.